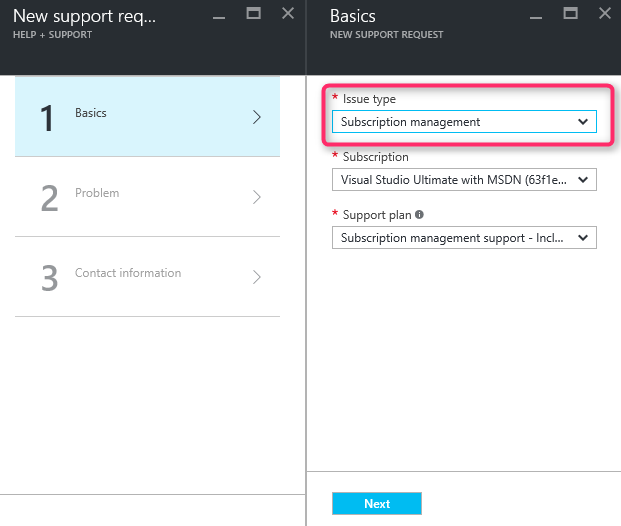 This article describes how to resolve the issue of an Azure subscription not having access to a region or a VM SKU. deploy to a different location or zones. 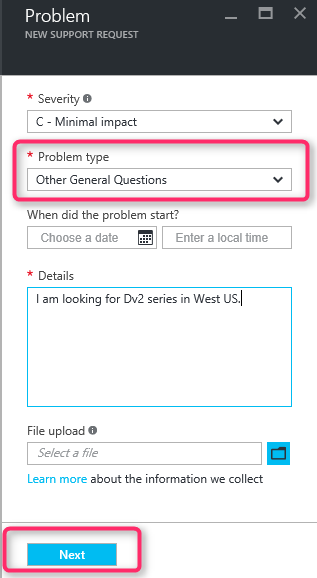 See https://aka.ms/azureskunotavailable for details. When creating a support request to increase compute core quota, a region or a SKU family is not available for selection. On the Basics page, select Issue type as "Subscription Management", select the subscription and click "Next". On the Problem page, select the Problem type as “Other General Questions”. Enter your contact details and click "Create". We are always open to feedback and suggestions! Send us your suggestions. Additionally, you can engage with us via Twitter or the MSDN forums.